If your goal is packing on muscle, carbohydrates and anabolic nutrients can assist you in your endeavors. However, carbohydrates can also result in additional body fat, depending on how much you eat and when. Below is some valuable information on this topic, regardless of whether you are a carboholic or carbophobic. Carbohydrates are an anabolic nutrient, but if you asked 10 bodybuilders about their value, you are almost certain to get 10 different answers. However, if you asked the same group about the importance of proteins with regard to muscle building, all 10 will likely speak only of its virtues. Among all macronutrients, carbohydrates face the most scrutiny. Indeed, throughout time, diet specialist and nutritionists have offered highly conflicting information about carbohydrates, stating that they are everything from an evil substance that will only make you fat to a highly beneficial and essential part of your diet. These contrasting opinions have probably left us all confused at one point or another about where carbs fit into the diet of a bodybuilder. Numerous reasons exist for the contradictory advice and confusion surrounding carbohydrates. For example, there is a vast difference among carbohydrate sources and depending on which carb you eat, you can expect a different reaction in your body. Additionally, studies on the benefits and pitfalls associated with carbohydrates have really only begun. If you are a serious bodybuilder, you know that it is vital to achieve the appropriate balance of carbohydrates, fats and protein in your diet. Therefore, it is important to resolve the questions surrounding carbs with comprehensive and fact-based answers. Your goal is obviously to lose body fat and build muscle, and for this reason it is important for you to know when and how to include carbs in your diet. Carbohydrates take their name from a combination of oxygen atoms, hydrogen and carbon, as it is these compounds that make up all carbohydrates. It is important to understand why these components are vital if your goal is to build muscle and eliminate fat. One of the biggest benefits of carbohydrates is that they are a fast acting energy source that trump both protein and fat, as they are readily metabolized and it is easier for the body to break down carbohydrates than it is for it to process fat or protein. The type, amount and rate of digestion of various carbohydrate sources determine the amount of insulin your pancreas releases, and subsequently your blood sugar–levels. Insulin is the hormone that allows excess sugar to be stored in the liver and muscle cells in the form of glycogen. When glycogen levels are high, meaning there is more sugar in your blood than you are using, the remainder is converted to fat and stored in your cells. Insulin plays a crucial role in transporting nutrients to your skeletal muscles, thus making it a potent anabolic agent and the subject of numerous scientific studies. You may have heard of the term “insulin sensitivity,” which refers to how well your body uses insulin. This sensitivity increases considerably in bodybuilders immediately after strength training, and then sharply declines throughout the evening. When everything boils down, the main thing you need to remember is that–depending on the timing of intake and the state of nutrition–high insulin levels and high blood sugar can create outcomes that are either desirable or undesirable. Your optimum goal is to spike insulin levels and blood sugar at opportune times, and therefore take advantage of the anabolic effects and energy storage associated with these substances, while at the same time avoiding your body’s fat storage mechanism. Monosaccharides are carbohydrates in their simplest form, as they cannot be hydrolyzed any further. Monosaccharide carbohydrates have a very sweet taste and include fructose and glucose. Glucose is absorbed almost immediately and for this reason it elevates insulin and blood sugar levels at a faster pace than any other type of carbohydrate. 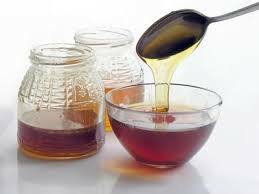 Fructose, on the other hand, has a relatively minor impact on blood sugar and is regarded as a slow carbohydrate because it is not immediately digested. Disaccharides are essentially a chemical combination of two different monosaccharides. They also have a relatively quick absorption rate and feature a sweet taste. Among common disaccharides are milk sugar, for which the technical name is glucose-galactose, and glucose (fructose) which is often simply referred to as sucrose. The third is maltose, a form of double glucose. 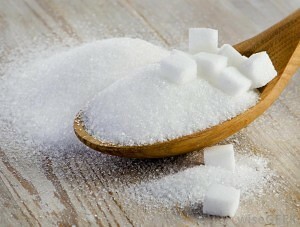 The latter rapidly elevates blood sugar levels, while sucrose increases them only moderately. Lactose, in comparison, barely impacts blood sugar levels at all. Polysaccharides are created through the bonding of monosaccharide chains or disaccharide chains. Both are referred to as “complex carbohydrates” and include glycogen, cellulose and starch. Starches are comprised of plant sugars, which are simply multiple glucose units attached to each other. 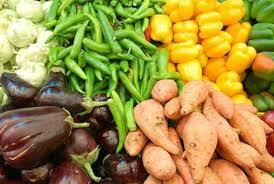 All green plants are a source of energy, and so are plant sugars. Common starch sources are rice, corn, wheat and potatoes. Fiber is a form of cellulose, the latter being the primary structural component in plants. Fiber is relatively indigestible in humans, but complex carbohydrates do digest, although at a slower pace than simple sugars. Of course, there are exceptions to every rule. For example, waxy maize absorbs very quickly, thus causing it to be categorized as a modified, high molecular weight cornstarch. It bypasses the upper G.I. tract and is absorbed in the small intestines. It typically causes a rapid spike in blood glucose levels. 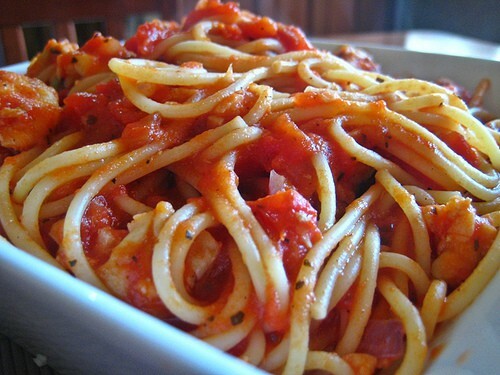 There are many common misconceptions surrounding simple carbohydrates. You have probably heard people say that there are “slow sugars” and “fast sugars,” but this is not altogether true. In reality, certain complex carbohydrates, although some individuals would call them “slow sugars,” actually raise insulin and blood sugar levels rapidly, such as maltodextrin. Similarly, carbohydrates that are often eferred to as “fast sugars,” may actually have a minimal impact on glucose levels. A good example of this is fructose. These discrepancies are precisely why the glycemic index was designed: to help you sort out various types of carbohydrates and their subsequent impact on blood sugar levels. If you utilize this unique tool, will find that it is very easy to determine the likely impact of various carbohydrates. On the glycemic index, all carbs are ranked on a scale with glucose as a base. Glucose is given a rating of 100, and anything lower than 100 impacts blood sugar levels at a lower rate than simple glucose. Anything higher than 100 has a more significant impact. 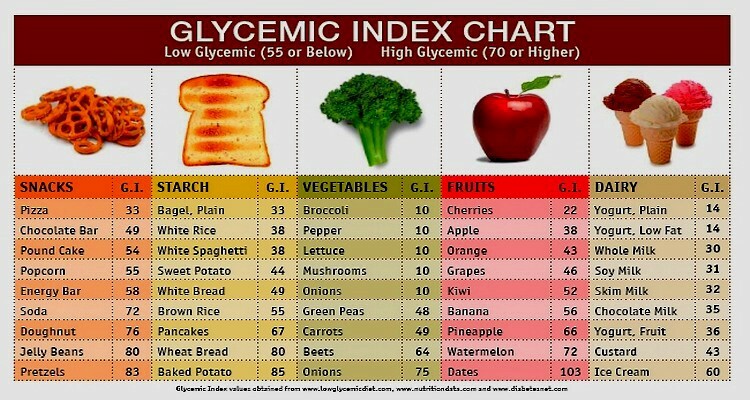 To locate reliable glycemic index data or to look for a specific carbohydrate and calculate its impact, go to www.glycemicindex.com. However, an essential fact to remember is that protein, fiber and fat may considerably slow the speed at which high glycemic carbohydrates raise blood sugar. You may be surprised to know that a significant amount of scientific research is available that supports supplementing with carbohydrates when you are trying to build muscle. Following a strength training workout, muscle glycogen stores are significantly decreased and this leads to the increase of insulin sensitivity. This provides the ideal opportunity for your body to spike insulin by ingesting simple carbohydrates such as waxy maize, maltodextrin or dextrose. Not only does this insulin boost enhance glycogen replenishment, it also carries nutrients and amino acids into damaged muscle cells. Certain research projects have discovered that post training protein carbohydrate supplements also enhance the anabolic response, promote increased lean muscle mass and augment recovery. 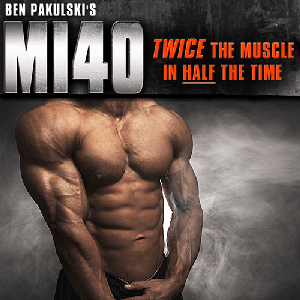 For this reason, the importance of anabolic nutrients cannot be understated. To enjoy the full range of benefits associated with the aforementioned nutrients, you should consider drinking a post-training shake consisting of fast carbohydrates and fast absorbing proteins at a ratio of two to one, respectively. 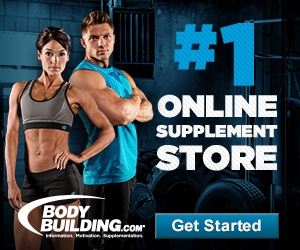 The most advantageous combination is maltodextrin or dextrose along with isolate or whey protein hydrolysate. If you are sensitive to maltodextrin or dextrose can opt instead for waxy maize as an alternative to other fast-carb sources. However, if you choose waxy maize, is important to take it approximately 20 minutes prior to your chosen protein powder, as its influence on blood sugar levels may be slowed if taken at the exact same time as protein. As a general rule, you should aim to take about 60–100 grams of fast-absorbing carbohydrates and up to 50 grams of quick-absorbing protein immediately following your workout. 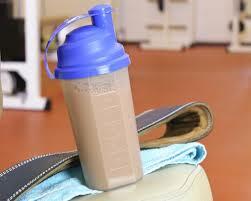 As a guideline, try to consume about 1–1.5 protein grams for each pound of body weight on a daily basis. These should be divided into six doses during the day, and one should be taken about half an hour before you train, and one immediately following your training session. Carbohydrate loading in the world of bodybuilding is generally used as a strategy to make skin appear tighter and muscles look fuller while on stage, during a photograph session or whenever you want your body to look its absolute best. Many work out strategies and diets call for the use of carbohydrates when your goal is to build muscle. However, the objective of all the various approaches is to create an environment in the skeletal muscles called “glycogen super compensation.” To achieve this state, glycogen stores must be depleted by high repetition and workouts of long duration, while you consume a restricted number of carbohydrates. After carbohydrate depletion is achieved, you must switch to high carbohydrate intake on a short-term basis, during which your body will restore glycogen in your muscles to a level that exceeds where it was prior to the targeted depletion. This super compensation increases muscle cell volume–also referred to as volumizing–because each molecule of glycogen requires four molecules of water, resulting in less volume directly under the skin, and ultimately fuller looking muscles. This leaner appearance is the goal of virtually all bodybuilders. One way to do this is to decrease your carbohydrate intake by 50 percent for approximately 3–5 days in order to deplete your muscle glycogen stores. The carbohydrate calories you eliminate can be replaced with fat calories. During this time you must do full body, high repetition workouts and after your glycogen has been depleted, you must double your original carbohydrate intake for the last 72 hours before your competition. Because time frames vary a bit from one individual to the next, experiment with the 3 to 5 day time frame in advance so that you know how to plan your strategy for your competition. The goal of carbohydrate cycling is to maintain or build lean muscle mass while losing body fat at the same time. For this reason, it combines the use of anabolic nutrients to boost the benefits of carbohydrate ingestion. 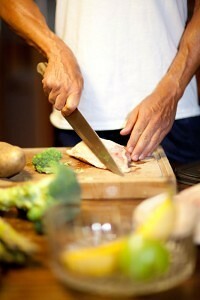 It also utilizes the fat burning benefits associated with low-carb diets. If your goal is to get lean, you should consider the fact that low carbohydrate strategies force your body to use fat for fuel. However, leptin levels may be reduced if you stay on a low-carb diet for an extended length of time. Leptin is a hormone that suppresses hunger, while elevating your metabolic rate at the same time. The best way to ensure your metabolism works at an optimal level and that your hunger is controlled is to alternate periods of high-carb and low-carb dieting. 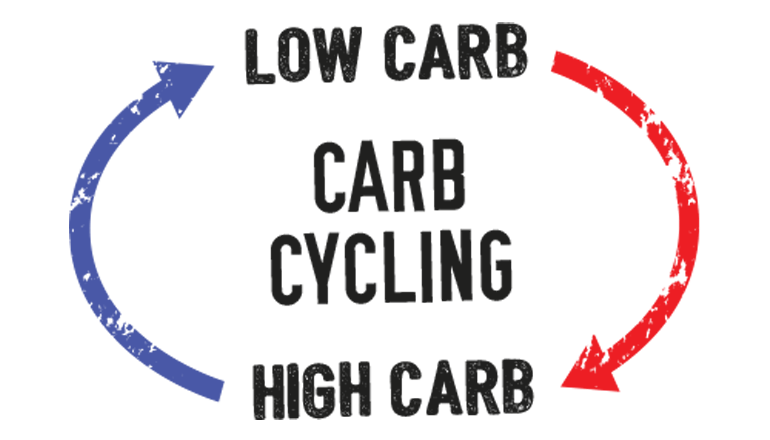 Carbohydrate cycling also gives you a psychological advantage over strict low carbohydrate diets. Knowing that you can eat carbohydrates again after a few days makes it much easier to shun carbs during the low carbohydrate phase. In addition, you will not be depleted of the phytonutrients and antioxidants that are found in whole grains and fresh fruit, the latter of which are shunned on low-carb diets. It is easy to see that anabolic nutrients and carbohydrates play major roles in bodybuilding, from initial muscle building to a lean appearance during your competition. Having this basic understanding of how the body is affected by various carbohydrates and ingestion timing will ensure that you reach your goals and stay fit and lean.